Update: We received confirmation from Liberal Finance critic, John McCallum that the Liberals would honour the HRTC if elected. Please see the Liberal Party’s position on the Home Renovation tax Credit here. 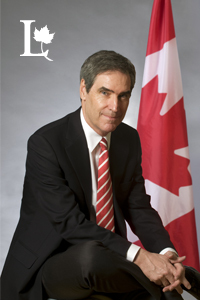 Liberal leader Michael Ignatieff announced today that the Liberal will no longer prop up the Conservative minority government. If the Conservatives fail to table the Home Renovation Tax Credit (HRTC) before an election Canadians may not have any HRTC to claim. The Canada Revenue Agency (CRA) takes the administrative position that if tax law is tabled before the House of Commons (but not yet passed), the CRA will take steps to enforce the bill as if it were law. However, when the budget was announced earlier this year, there was no draft legislation introduced to the House of Commons for the HRTC. Therefore if the government falls before the bill is introduced into Parliament, the HRTC will be effectively dead. If the government is allowed to fall before the HRTC is tabled, will this be political suicide? The sheer volume of questions about the home renovation tax credit posed to Canadian Tax Resource and those posed directly to the CRA suggest that thousands of Canadians may be affected if the bill is not tabled. This may be political suicide for the Liberals if they fail to introduce similar legislation immediately after an election. This could also cause problems for the Conservatives since they failed to introduce the bill in the first place. Only time will tell for sure. Canadian Tax Resource emailed Conservative Finance Minister Jim Flaharety and opposition Finance critic John McCallum but neither had responded at the time of writing. Interesting politics at play here… I blogged about the prospects of this perviously, but now it will be really interesting to see what happens! I still haven’t had any responses from the Minister of Finance or the Liberals. These measures were in draft form, which means the government changed the existing law and presented it to parliament. The CRA administratively can enforce draft legislation to the accelerated depreciation still stands. The HRTC was only talked about and there was no draft law presented to parliament. The CRA can’t administer something that has no draft! So the accelerated depreciation would stand but the HRTC would not. 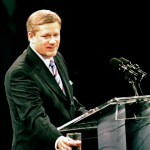 Just like Harper; confidence votes on everthing. Mean spirited. Set up a kiss of death for the opposition on a nonconfidence vote. I do not want my children influenced by this man. I’m not sure if we could squarely point this at Harper. They announced the HRTC during the budget and had to act quickly. Thre was not enough time to prepare legislation. We most definitely were influenced by all the government ads/store promos regarding the HRTC. We spent the full claimable amount ++. To top it off, I have been operating on the assumption that the $1350 would be in my pocket come next tax time. Even though it is definitely labeled a credit, I was thinking rebate. So that puts us up the creek without a paddle, we had plans for that extra cash. I’m sure our story is mirrored by many other Canadian families. And why wasn’t this passed long ago? I was looking at the Action Plan website and some 4-5 million Canadians would benefit from the HRTC. Interesting how the Cons now are saying the Libs are trying to take this away from the people, even though they haven’t taken the steps to get it passed. What are they waiting for? Personally, the Cons won’t buy my vote for ‘$1350’ (but maybe that will work for the other 4 million) and I just don’t have confidence in the Libs either. What options does that leave for a disappointed voter? NDP or Green? I received confirmation from the Liberals that they would introduce the HRTC if elected. The issueseems moot as the NDP and Block will support the govenrment Friday when introduces the HRTC. Was the HRTC bill ever passed ? Today is Dec. 31, and there is talk that all unpassed bills will die if the Parliament is prorogued. Can you tell us what happened to the HRTC? @ Hannah – The bill was introduced and the CRA will act as if is law. I had confirmation from the Liberals that they would re-introduce the HRTC is the government falls. @Hannah – See the following link. The HRTC has received Royal Assent and is now law.